“Most people will generally think of tea drinking season when it’s cold, only because it’s a warm beverage, but in reality, like every plant-based material, different seasons create different flavors and create different opportunities,” says David Barenholtz, the CEO of American Tea Room. While he won’t say that spring time is the time for drinking tea as he believes all seasons have their perks, Barenholtz admits that it is special for a few reasons. Like wine grapes, the flavor and quality of tea is determined by factors like elevation, region, and climate, but unlike grapes, teas have four to five plucking season—the first growth of tea, which is what were about to experience in the coming weeks, is called the first flush (they call it “pre-rain tea” in China and simply “spring tea” in Japan), and it’s pretty potent. “With spring teas, you have a unique quality to them that’s unlike any other time of the year because these plants are packed with antioxidants and polyphenols from being dormant all winter long,” he says. “Everything’s concentrated in that leaf when it first sprouts.” While you might expect that this concentration would lead to full-bodied, in-your-face teas, the result is actually light, fresh flavors that Barenholtz says are much more “subtle and nuanced” from teas plucked later in the year. Because of climate change, tea growers from most regions and buyers have begun seeing leaves ripening earlier, which means plucking seasons are also earlier. “We’ve started seeing the earliest teas being plucked in the beginning of March now. When I started at this business, they were being plucked at the end of April, ” says Barenholtz. American Tea Room expects their first flush white darjeeling and semi-oxidized darjeeling very soon. Teas from Japan and China will arrive intermittently until around the beginning of May. Their flavor qualities will be grassy, light, and effervescent. When asked if there’s one tea that he’d like everyone to try this season, Barenholtz says there’s really something for every preference. But for those that favor oolongs, whites, and greens, he suggests the Arya Pearl, which will debut in the next few days. It’s the first time American Tea Room has ever had the first plucking of this very rare variety, and according to Barenholtz, they’re the only ones in the country that will have access to this first harvest. American Tea Room just moved into Downtown’s Arts District late last year (they also opened a new store in Newport Beach, recently, too). 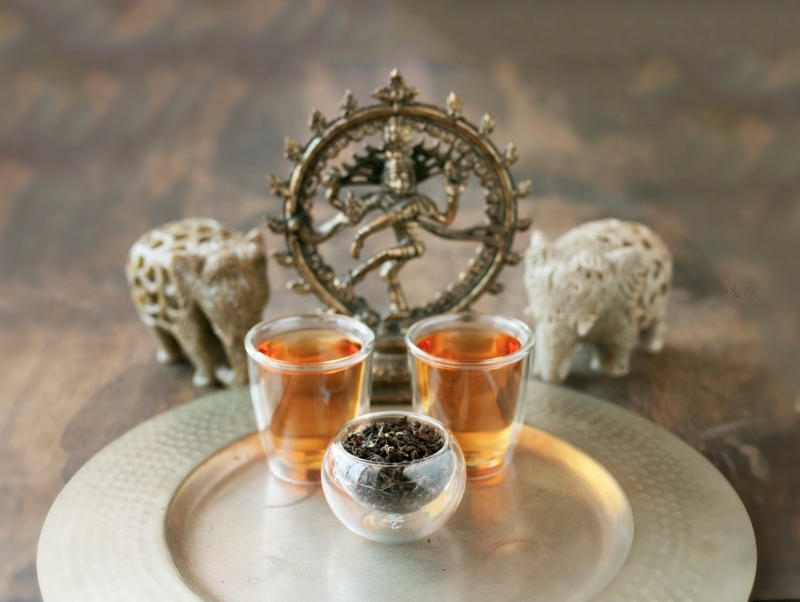 In addition to the hotly anticipated first flush teas, they offer hundreds of varieties, including Sun-Dried Silver Tips, a raw tea that’s rolled and bruised to create oxidation before being formed into cake molds, and Purple Beauty from the southwestern Yunnan province, which is known for its tree fruit flavors. A departure from the original Beverly Hills location (currently undergoing a redesign and will re-open in the summer), which opened 13 years ago, the new store serves a menu of food from culinary director Valerie Gordon of Valerie Confections, who is serving turned up tea-time classics, like a creme fraiche scone, watercress sandwiches, petite fours, and tea-infused truffles. Tea-infused cocktails from Pharmacie will also be launching soon. Previous articleAsk Chris: I Hear Angelyne Won’t Drive Her Corvette for More Than a Few Years. What Happens to the Old Cars?